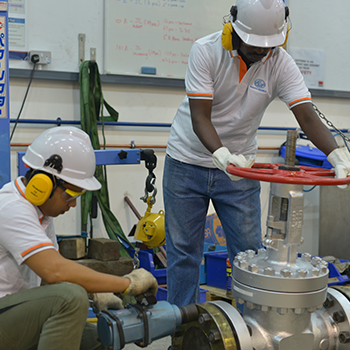 The key strength of PANAFLO CONTROLS PTE LTD (“PFC”) is our team’s indepth knowledge of market developments in flow controls such as valves, actuators and controls. Its presence, strong partnerships with key manufacturers, dedicated technical support team and its regional stock bases in Singapore and Malaysia offer customers prompt delivery and after-sales service. Quarter-turn Actuation and Controls is the flagship product of PFC. 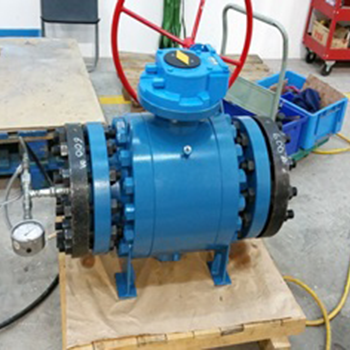 We provide our customers quarter-turn actuated valve packages and controls. One of the key function of valve division is to keep affluent stock to serve the fast turnaround demand of the clients including shut down, maintenance and operations. Moreover, there are also some fast track projects that needs urgent support from stock, as normal lead time of quality valve manufacturing takes more than 6 months minimum. Panaflo together with Pantech, are proud to be leading regional stockist keeping one of the largest AML brand stocks in Singapore and Johor. The prime brands that we keep in stocks are NEWAY (China), WALWORTH (Mexico), Bonney Forge & LVF (Italy) and in house brand NAUTICA (UK). From time to time, we are reviewing & developing types, ranges, and brands that the market required and increase them into our varieties of stock. All the incoming valves are carefully QC, stocked & updated into our warehousing and ERP control system. 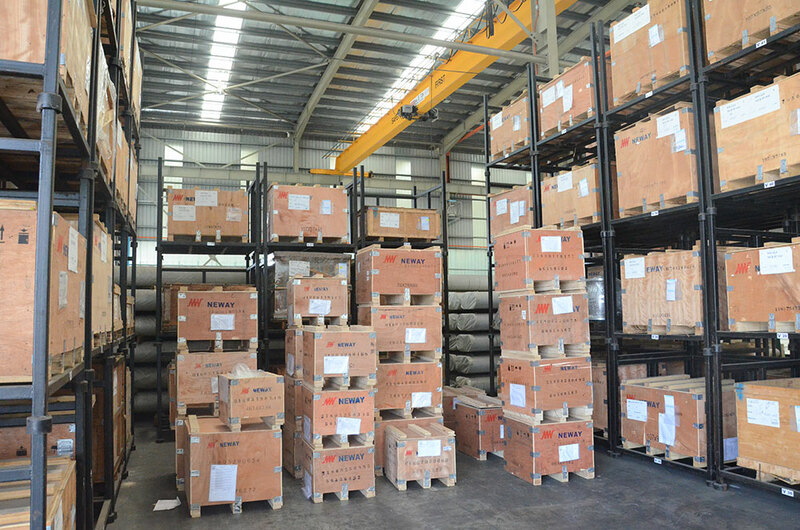 With the strength of substantial inventory and constant incoming shipments, we are promoting Price agreement and even consignment cooperation with major clients, so that both sides can enjoy the maximum of stability, JIT deliveries and avoid uncertainty due to long lead time of manufacturing, logistic and transportation, and material fluctuation etc. Our stock complied with relevant stringent specifications of API, BS, JIS, DIN, and testing requirement, that are optionally subject to additional testing & witness by TPI. Panaflo is flexible in matching High, Medium end and general industries expectation, while we can cope with valve modification, mounting with actuators, additional painting requirement etc. With a team of highly disciplined, well trained and passion in Valves, we ensure all outgoing products are properly QC, packed, and delivered to the hands of clients. So that clients can enjoy satisfactory products & services as per expectation. Panaflo leads the group in Project Valve Sales, Panaflo liaise with owners, FEED, EPCC, contactors to communicate, promote and commit its performance of supply of valves from qualified vendors that suites clients’ expectation. Panaflo will take care of the clients from the beginning, and even after end of warranty period for after sales services. Panaflo’s reliable valve & actuator vendors are located in G7 countries, China, Korea, Western European and North America, hence, we can provide a total solutions for the clients. 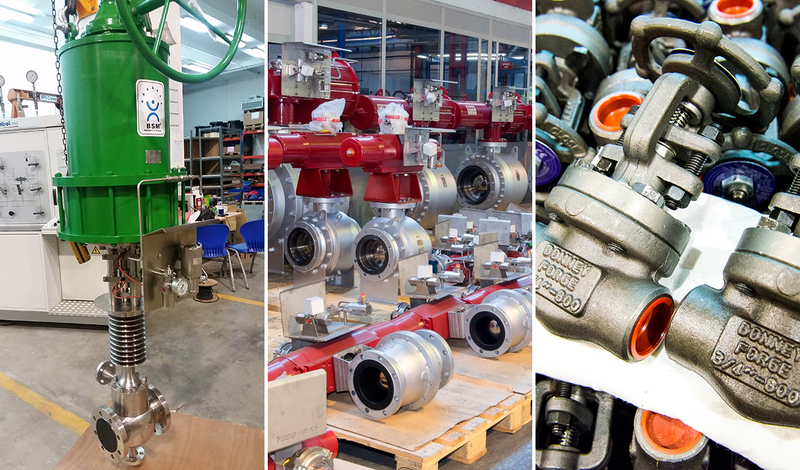 Panaflo & the group has good track record, and welcome regional and global projects that require Valves, or Pipe-valve-fitting as a whole package. Panaflo Controls have been pressure testing valves for many years using conventional blind flange method. In order to meet customer demand, in June 2012, our own in-house testing facility was expanded to include state-of-the-art Itacontrol test rigs and equipment. This has enabled greater control over orders offering a quick turnaround, fulfilling customer delivery requests. All testings carried out by Panaflo is supplied with a comprehensive pressure test report detailing the valve tested and all the tests carried out. Reports are signed and if witnessed counter signed by a third party inspector. Remote viewings can be carried out by customer through dedicated login. Hydrostatic testing of valves from ¼” to 48” class 150 to 2500 in accordance to API 598, BS EN 12266, API 6D and customer’s specific testing requirements including testing using digital pressure recorders. Testing equipment comprises of 3 test rigs capable of testing up to class 2500. All Test rigs use a hydraulic system clamping on the end flanges. Comprehensive range of blind flanges and bolting allows larger valves to be flanged up and tested. 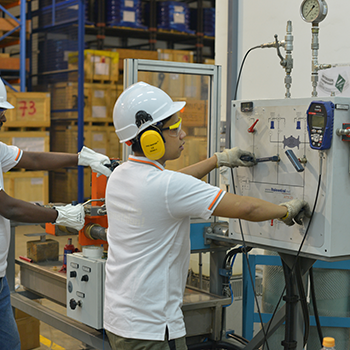 In order to provide better service to its clients in Malaysia, Panaflo also assisted sister company Pantech Corporation to set up its Hydrotest and technical service team based in Johor. Today, Johor team is capable to do hydrotest up to 24” as well. 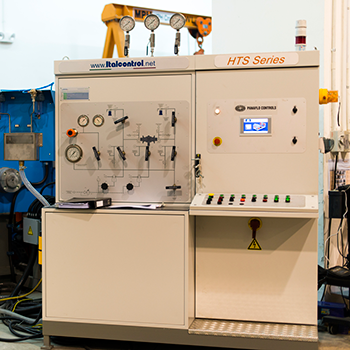 Test rig 3 is designed and built to specification to carry out including high pressure gas testing of valves using nitrogen or helium up to 10,000 psi. 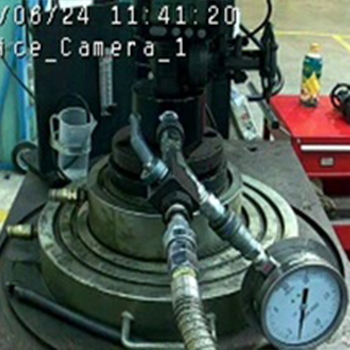 Seat leakage measured via calibrated set of flow meters for helium or nitrogen.